Besides slot machines, one of our very favourite things about Vegas is happy hour. If you don't live in Ontario, Canada like us, it may be hard to believe but we don't really have happy hour here. Half price drinks and snacks are a great way to save money in Vegas. You can even make a meal of it. Many bars and restaurants have happy hours. Most fall somewhere between 2:00 and 7:00 pm. I tried to plan a happy hour stop each day and even made a spreadsheet with different times and locations because that's just the kind of nut I am. One happy hour stop was completely spontaneous though. We were driving on Paradise, trying to get away from the strip traffic, when we happened to pass Gordon Biersch Brewery. We noticed it was 3:00 and decided to check what they might have for happy hour. Great choice! We shared sliders and garlic fries and tried some beer and cocktails. 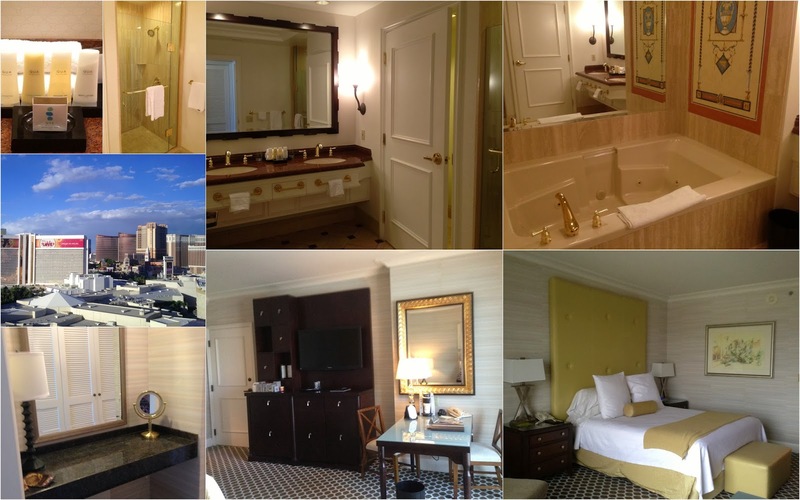 We spent one night at Caesars Palace. 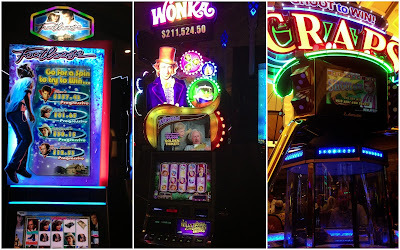 It was our first time at Caesars and we really loved it. We had a lovely room in the Palace Tower, near the five (!) pools. The room was great with a huge jetted tub and a nice view. I planned a happy hour crawl at the Forum Shops at Caesars. Between 2:00 and 7:00 we could have hit five different happy hours! But reality prevailed and we only made it to two. We had martinis at Trevi then dashed to Sushi Roku for a happy hour sushi feast! We sat at the bar and the food was really fantastic. Matt's absolute favourite was the rock shrimp tempura and jalapeno roll. I had some sparkling wine with my sushi. 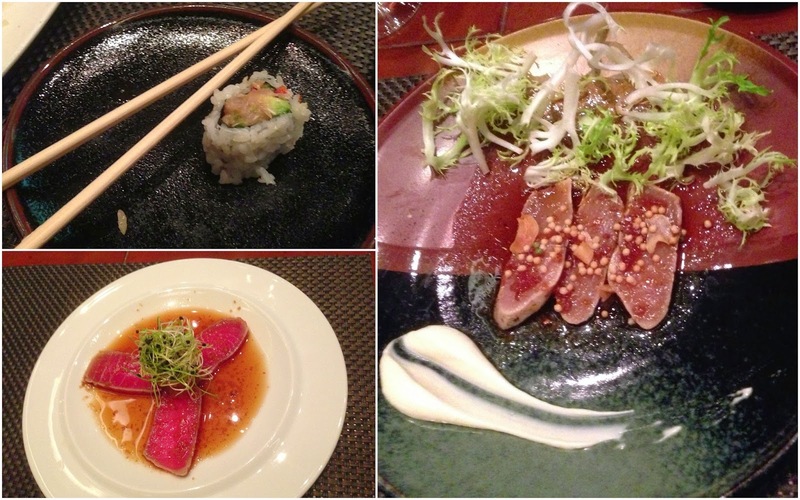 We also ordered some tuna tataki sashimi with garlic ponzu and albacore sashimi with garlic aioli. This was more than enough for dinner. Finally, on our last night we were starving and popped into PF Chang's for their happy hour. We also don't have PF Chang's where we live and although it's a chain, it's a nice treat. We had three kinds of steamed dumplings, crab wontons and ahi tuna crisps. I had some delicious coconut lemon sours to drink and Matt had beer. We had some great meals in Vegas but some of the best food we ate was at happy hour.